A boat shaped boardroom table that features a 38mm thick table top tat is available in three finish options, Light Oak, Dark Oak or Walnut. Features of this table also include large square legs that have a 100mm x 100mm cross section size that supports that table top. 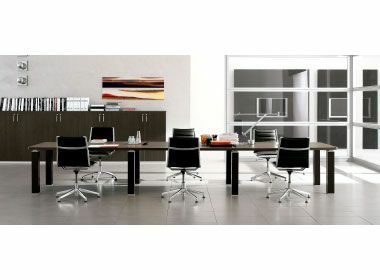 The Tao 2400mm Boat Shaped Boardroom Table is a stylish 38mm thick top table that comes in a choice of four finishes, Dark Oak, Light Oak, Cherry and White. 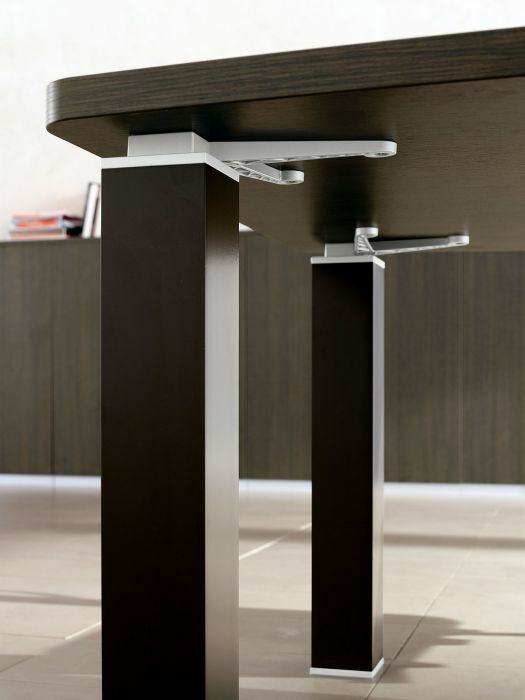 The square metal legs come in Mocha, Black or Silver powder coated finish. This table is easy to assemble, however there is an optional installation service included. These tables have been manufactured in Italy and the product is delivered straight from the factory to you in 3-4 weeks from order and comes with a five year warranty as well. 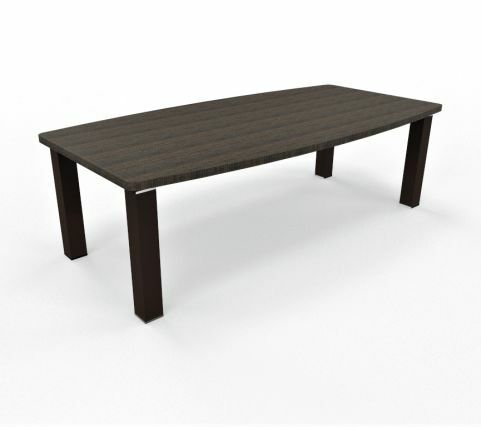 This table should definitely be a consieration for your boardroom.